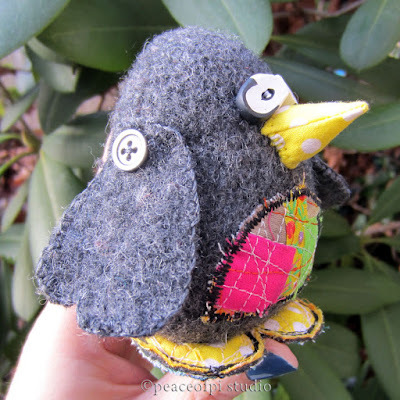 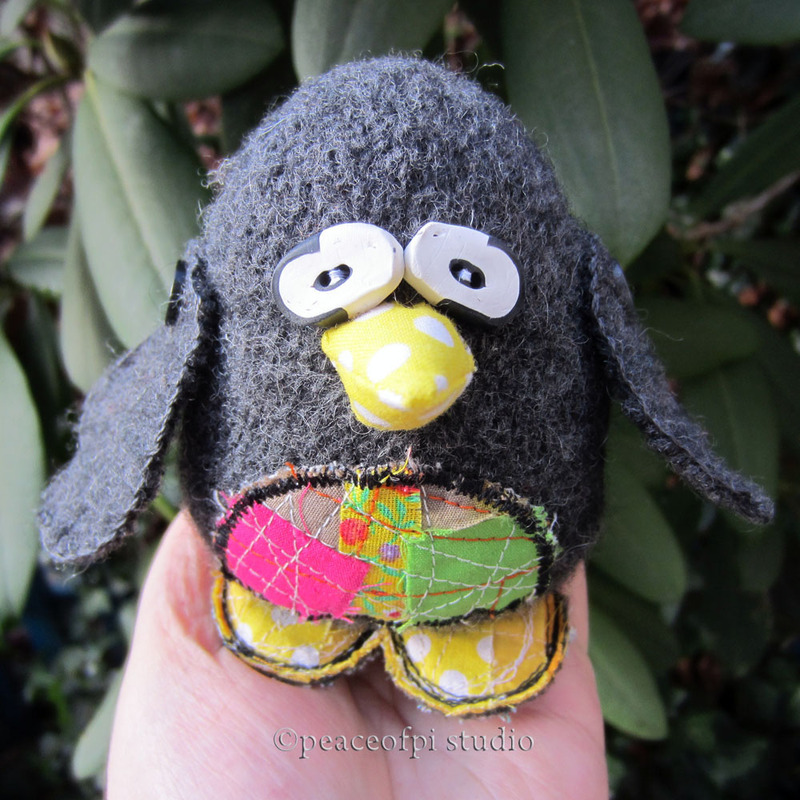 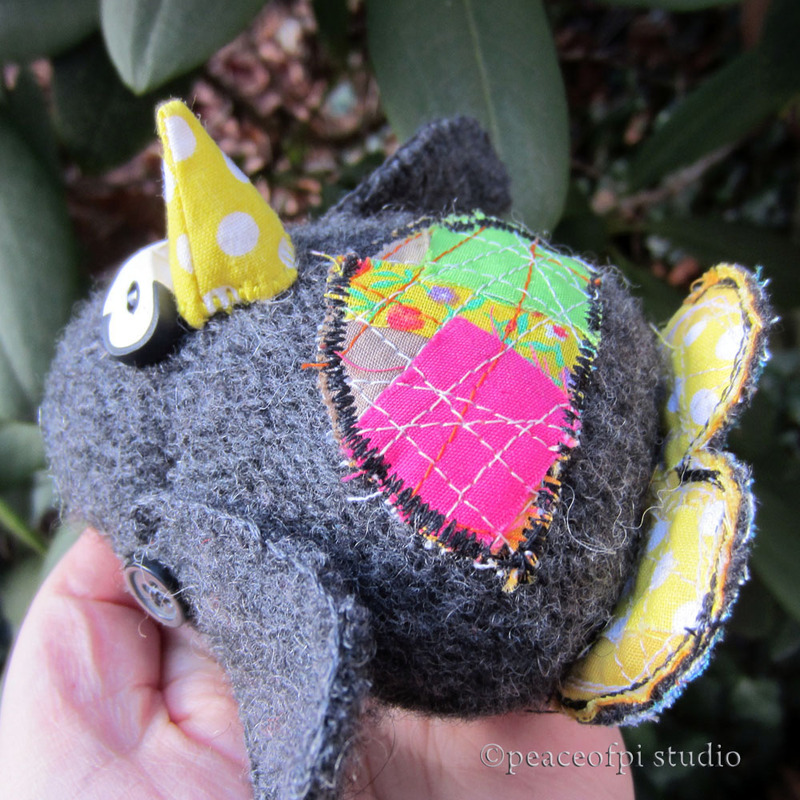 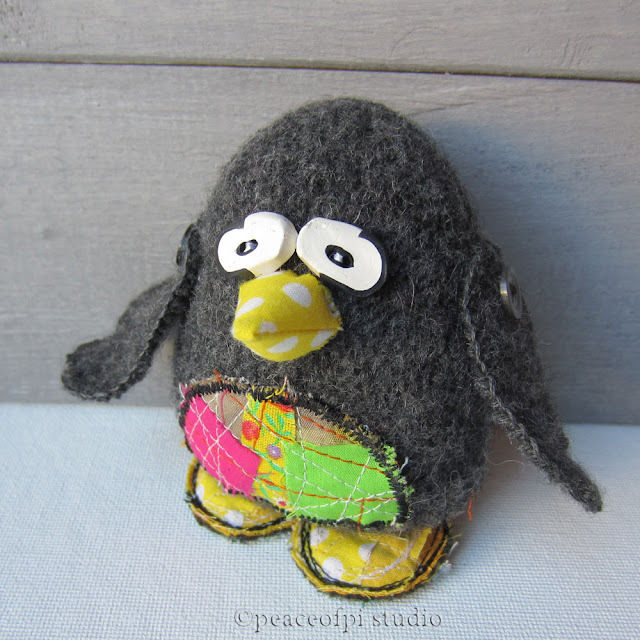 Made of felted wool and mixed fabrics sewn and stuffed, this little bird is a grey penguin with a colourful belly and yellow polka dot feet. His eyes are made from polymer clay and his wings sewn on with buttons. 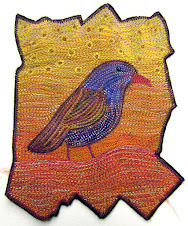 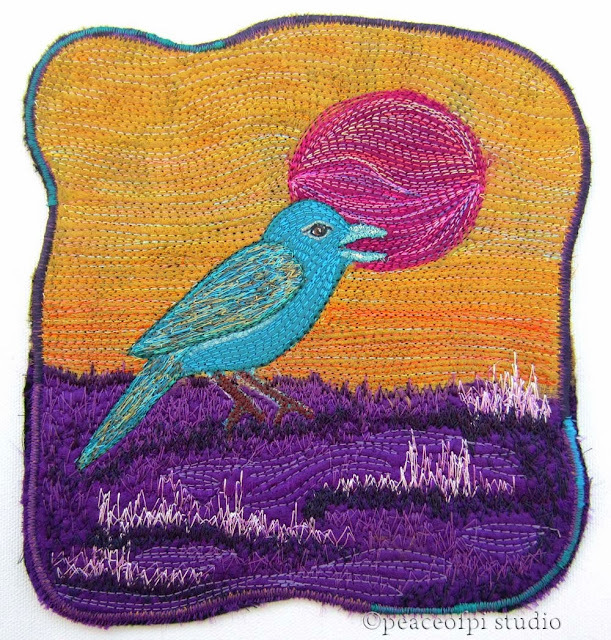 Tiny at only 3.5 inches tall, he is a miniature member of the flightless bird club.